Have Headaches Ever Ruined Your Day? If you suffer from headaches with any regularity then the obvious answer to the above question is a resounding yes. Those that don’t get headaches really can’t understand what you are going through. Now it is a reality that there are several different types and causes of headaches. I think back a number of years ago to an Arnold Swartzenegger movie where he played a Kindergarten teacher. He complained of a headache and the precocious 5 year old suggested it could be a tumour. It’s not a tumour! Well in statistics the chance of having headaches from a brain tumour is infinitesimal compared to most causes. Because they are so rare we are not going to address this type. Although there is much speculation but no definitive cause migraines are a debilitating headache type. There are triggers to migraines that can be identified and avoided. The typical migraine only affects one side of the head…this being one identifying factor. Another debilitating headache type is the Cluster. These types of headaches come in waves and are often described as a band or vice around the head. By far the most common headache type is the Cervicogenic or Stress type headache. Cervicogenic is just a ten cylinder word meaning that it originates in the neck. Often these headaches can be resolved and managed with some rudimentary exercises and tactics to reduce the stress and strain of the cervical region. 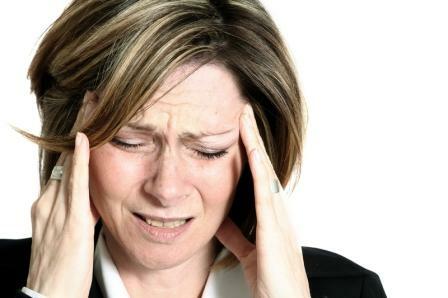 We are initiating a HEADACHE CASE STUDY to evaluate the various headaches and response to treatment and therapies. ARE YOU A CANDIDATE TO PARTICIPATE? We are looking for candidates that suffer from headaches and are willing to participate in a 4-6 week study. You would attend our clinic 2-3 times weekly for treatment and therapy therefore living in the Oakville area is crucial. If you or anyone you know would like to take the questionnaire to determine if you are eligible for the study contact us at info@oakvillechiropractic.com and we will send you the form. Dr Brian Huggins.